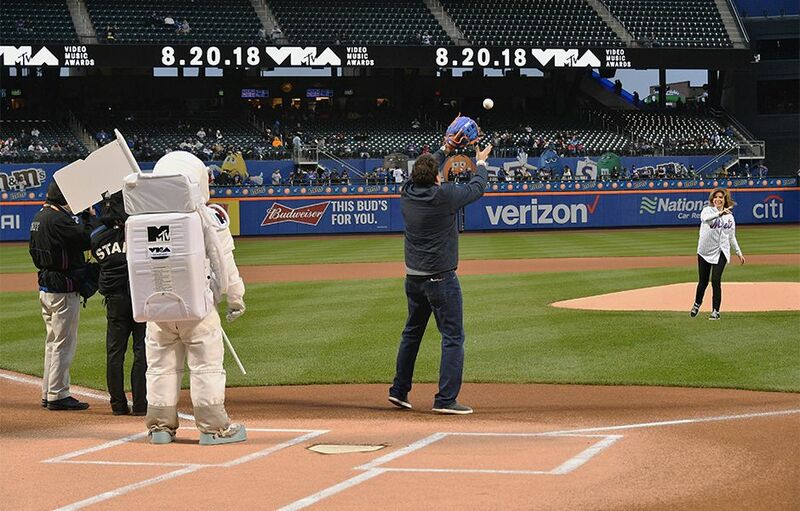 In honor of the VMAs returning to New York City in 2018, Mayor’s Office of Media and Entertainment Commissioner Julie Menin and MTV International Global Head of Music/Talent Bruce Gilmer headed to Citi Field with the iconic VMA Moon Person to throw the first pitch at the Met’s game. 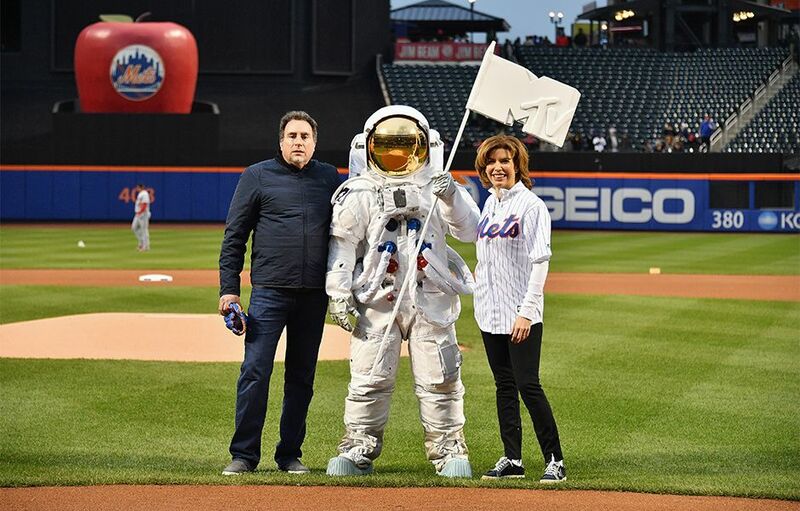 Julie Menin and Bruce Gilmer posed for a photo with the Moon Person on Citi Field. 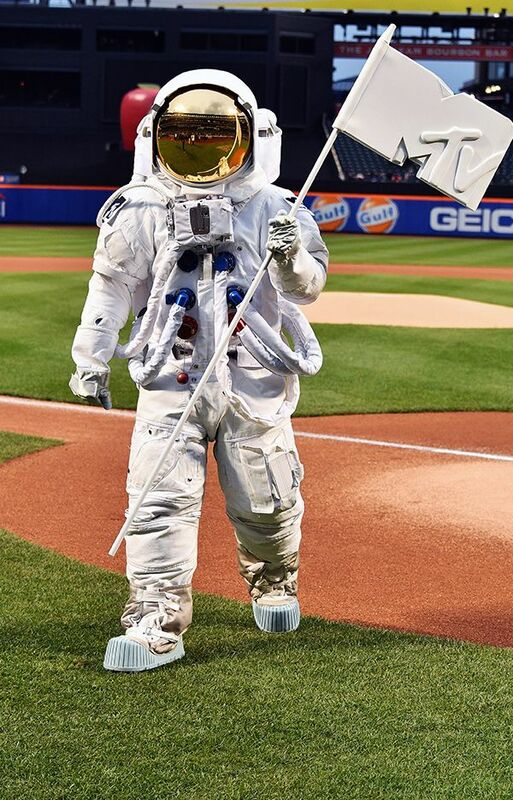 The Moon Person planted the MTV flag at Citi Field to celebrate the VMAs return to New York City for the 2018 show. 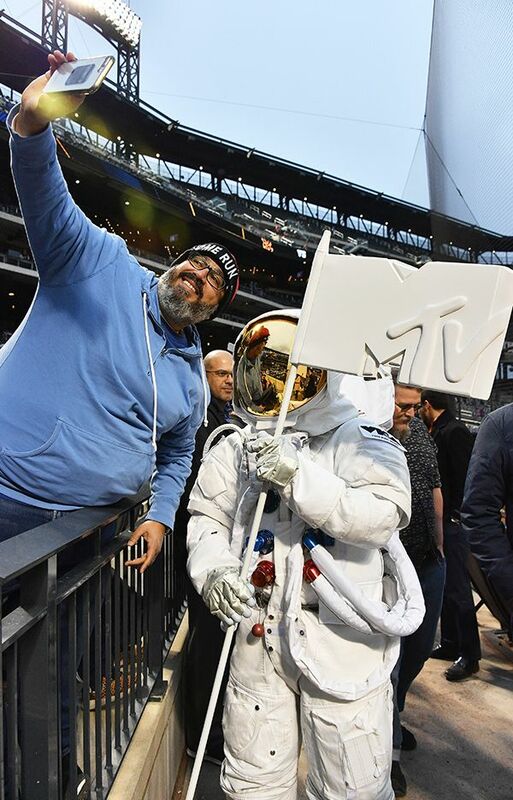 The VMA Moon Person roamed the stands of Citi Field proudly waving the MTV flag. 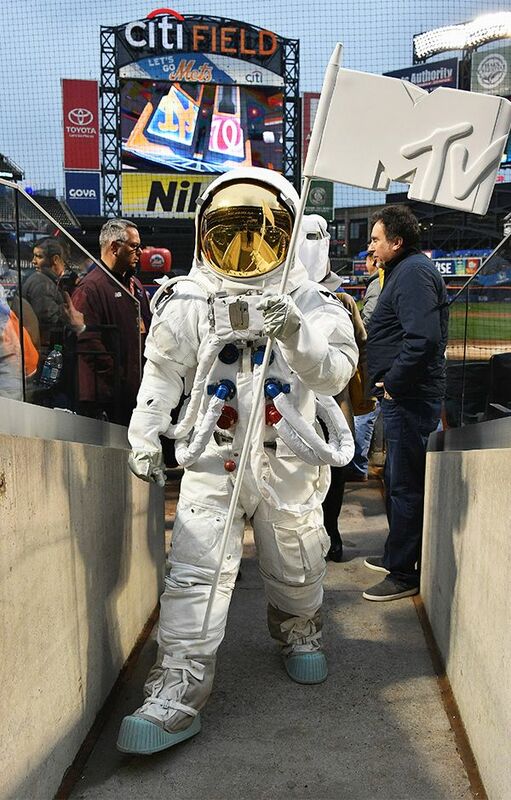 The Moon Person took a selfie with a Met’s fan at Citi Field. 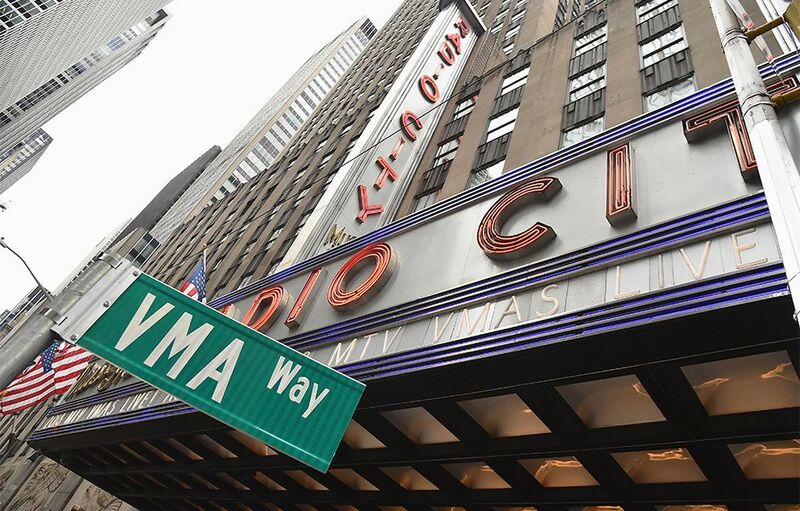 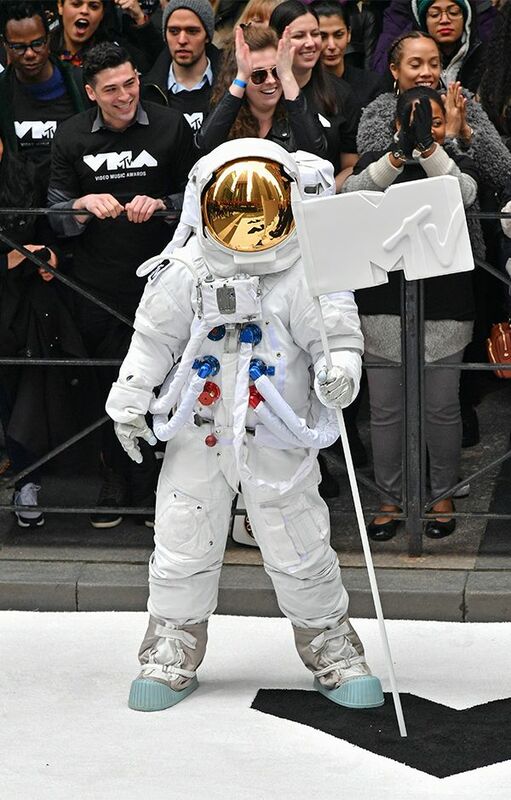 The Moon Person took to the New York City streets outside of Radio City Music Hall to announce the news that the 2018 VMAs would air live from the famed venue. 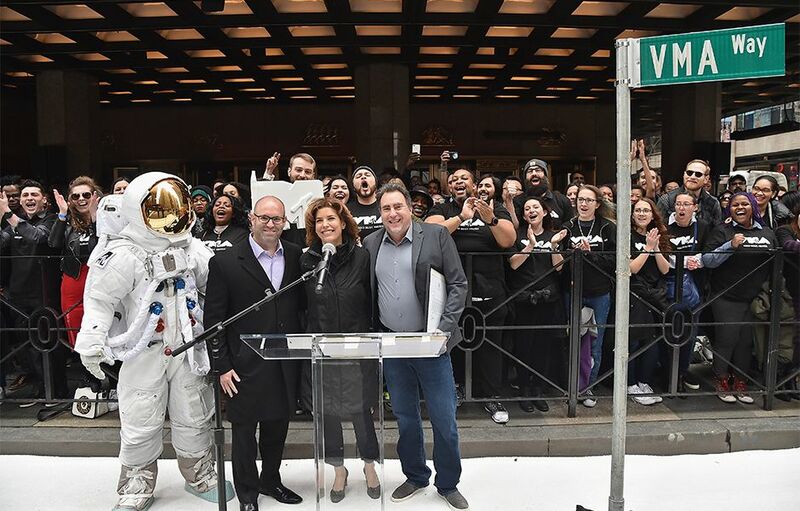 Mayor’s Office of Media and Entertainment Commissioner Julie Menin, MTV International Global Head of Music/Talent Bruce Gilmer, and Executive Vice President of MSG Live Darren Pfeffer joined the Moon Person to announce the news under Radio City Music Hall’s famous marquee. 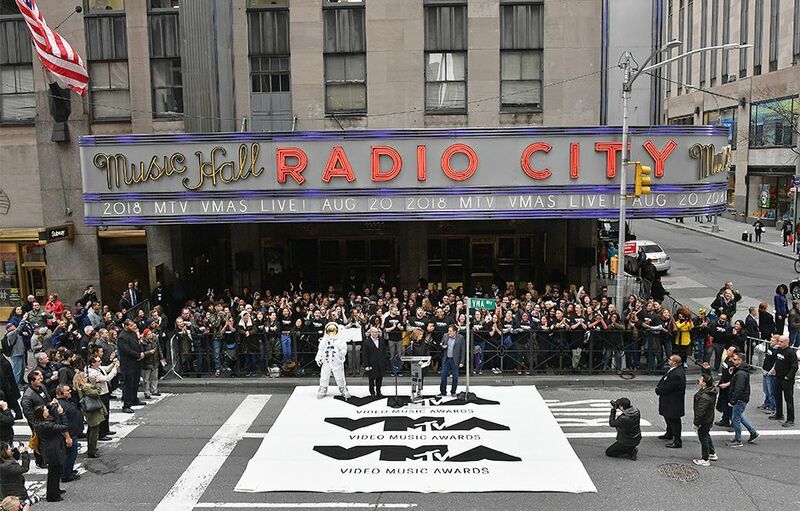 The Moon Person had a symbolic “moon landing” outside of Radio City Music Hall, planting the MTV flag to announce the VMAs’ return to New York City.